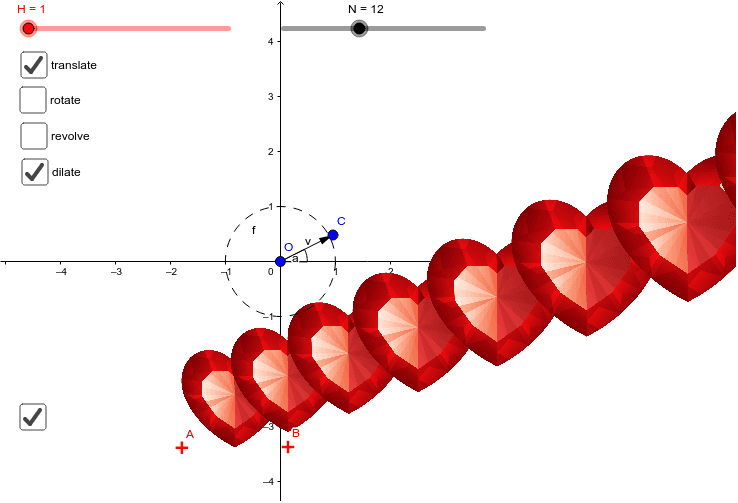 A post at Science Friday (http://www.sciencefriday.com/educational-resources/make-a-mathy-valentine/) had the idea to use transformations to make a mathy Valentine, so I couldn't resist. Oh, and there’s a selection of hearts. Can you tell in what order the transformations are applied? And what's the difference between rotate and revolve? More importantly: what's the coolest effect you can make?